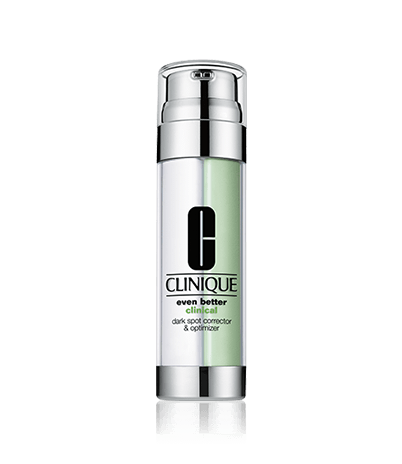 Clinique Even Better Clinical Dark Spot Corrector is the result of a conversation that started several years ago, the conclusion of that conversation between a high-profile Dermatologist and a Magazine Editor was: ¨Great Skin Can Be Created¨. Of course that we women for all history have known that and have developed our secrets to look, remain and surprise with our forever younger look. In 1968 Clinique introduced a 3-Step Skin Care System, and in 1976 they addressed the skin care needs of men. I actually like a lot of them but not all, I am not an unconditional Clinique Fan, I take the best and use it at my Clinique depending on my clients, or on myself depending weather or occasion. Nice clean design. Large bottle packaging. But a small amount of product. I like orange juice because I know Vitamin C is important to stay young, the form of vitamin C, Clinique Even Better Clinical Dark Spot Corrector has, has some good healing properties. Curcuma longa is another amazing ingredient that will truly help if you use it in long term. With Clinique Even Better Clinical Dark Spot Corrector I had a third party experience, one of my beloved friends and habitué of mi clinic brought the product asking me for advice, She wanted to try it in ¨Safe Environment¨ I agree to help her since she had her own bottle and had another one as gift/bribe for me. We both agree that from the top core feels good on your skin pre-moisturizing though, that´s definite. It has a running consistency, goes on little sticky gets absorbed quite quickly and you must massage in moisturizer, really massaging the face to get blood circulation going. Thanks to vitamin C is indeed healing dark spots; However you need to use an SPF40 cream during the day with this product in order for it to work effectively, and that is my professional advice. (keep it secret is $100 per hour getting personal advice with me XD). 6 weeks after starting using it there was some improvement, I don´t really have problems with dark spots or scars but in a really minimal way. I am giving only 3 stars because the package and since the price is really high, however I recommend this product if you can afford it.